You know you're in Alta when you have a Glow in the dark neon dance party, Westward Ho gnome hunt, and cheese bingo all in the same week? 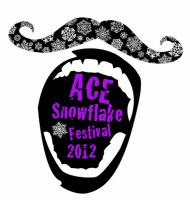 Alta Community Enrichment is putting on another AMAZING list of events for this years Snowflake Festival! March 22- 25th! Come one, come ALL!! !